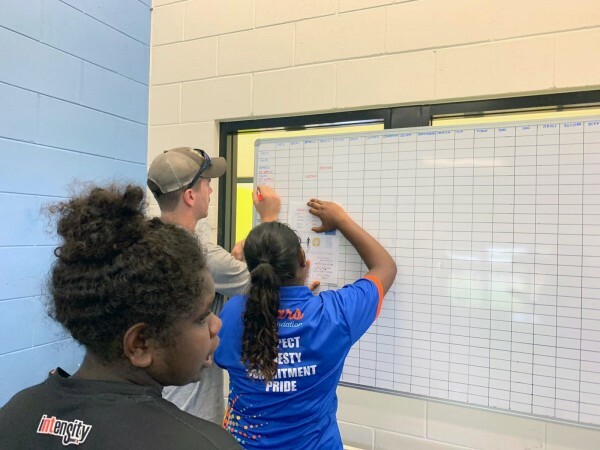 Youth workers at Jabiru’s Djidbidjidbi College have been running Bininj language and culture activities to ensure that the college is a bicultural space that values Indigenous culture. The College has nominated Kunwinjku language learning weekly on Wednesdays, and Bininj families and friends are highly encouraged to join in. Youth workers Joel Kalpram and Bodey Thomas recently ran an activity listing how the students use Bininj kinship terms to refer to other people in their social worlds. 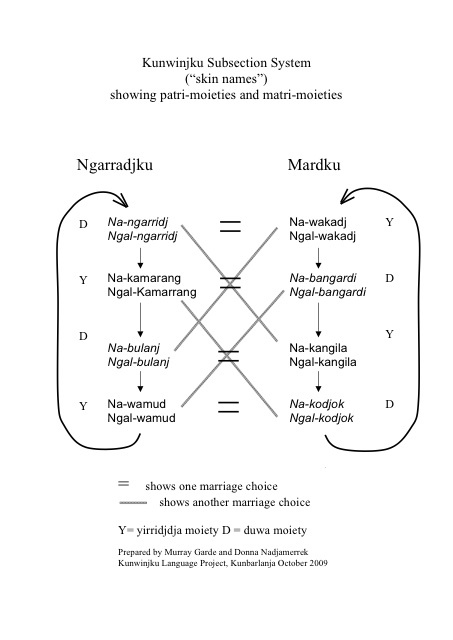 They encourage everyone to use their Bininj skin names in daily interaction with both Bininj and Balanda. Skin names or “subsection terms” are a limited set of categories that determine marriage and reflect kinship relationships. The skin name you are born with is determined by your mother’s skin name. People use these terms to refer to and address everyone in their social universe. Skin names are the usual way to make such reference and address. If you are a non-Indigenous person working with Bininj in the West Arnhem and Kakadu region, you can learn these terms and use them to address and refer to your Bininj friends and colleagues. If you work with Bininj in Kakadu and western Arnhem Land, you should learn the skin names of your Bininj colleagues and friends and learn to use them when addressing and referring to people. Many non-Bininj people have been adopted into the system and have skin names too. Ask around to find out more - Bininj will be very happy to teach you. See more information at bininjkunwok.org.au under the tab that says Bengdayhke/Information, then choose “kinship”.